Item: CVA 180-5420 - Arthur Maddocks - Richmond demonstrates halter making to two boys at P.N.E. Item : CVA 180-5420 - Arthur Maddocks - Richmond demonstrates halter making to two boys at P.N.E. 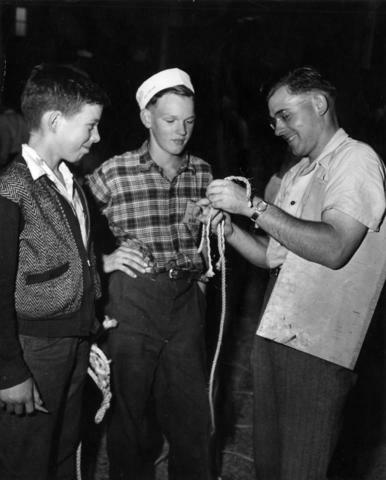 Arthur Maddocks - Richmond demonstrates halter making to two boys at P.N.E.